At last month's Black Hat Asia conference in Singapore it was demonstrated how easy it is to hack a car. Hackers were able to use commonly available items, sometimes worth less than $20, to gain control over a vehicle. By using an Engine Control Unit (ECU) and communicating via a GSM Cellular Radio the new-and-improved tool allowed attackers to control a car from miles away. The device used to hack the car can be attached quite easily by either crawling under the car or getting under the hood. Simple functions like rolling down windows, sounding off the alarm, blowing the horn etc. can be performed with cheap hacking tools, but hackers at the conference warned that more serious functions could be affected too. Functions that could even lead to accidents. 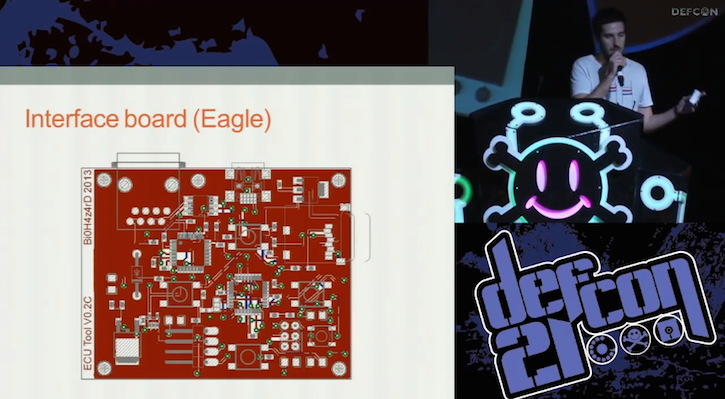 Read this full report on Computerworld Blogs and watch the video from Def Con 21 below for complete details.